We begin with a very special online saving that is perfect for those of you who want your pick of the perfume discounts. On our Look Fantastic voucher codes page we have a straight 15% discount promotional code valid until 12th July. Ideal for stocking up on not only summer fragrances but also all your essential summer beauty purchases. When it comes to heavenly summer scents they’re certainly not short of a few. So why not use our Look Fantastic voucher codes to try the Elizabeth Arden Green Tea Nectarine Blossom Eau de Toilette (£30 before discount), the Clinique Happy Perfume Spray (£32 before discount) or the Chloe Roses Chloe Eau de Toilette (£58 before discount)? You would expect a site called The Fragrance Shop to stock a decent selection of summery perfumes and you won’t be disappointed. 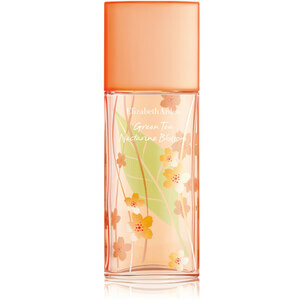 On top of a great range, you can also save with The Fragrance Shop coupon codes we have available right now. The choices are plentiful on this front too! For starters we’ve got a The Fragrance Shop voucher code that gets you a great discount on Jimmy Choo Flash (was £46, now £26). If you use The Fragrance Shop promo codes to look at their sale lines, you’ll find the Estee Lauder Bronze Goddess Eau Fraiche Spray with Free Body Lotion (was £50, now £49.50) and the Calvin Klein CK1 Summer Eau de Toilette with Free Weekend Summer Bag (was £33, now £30). And lastly it’s our ever-reliable Galaxy Perfume discount codes that gets you either 10% off your order, or 15% off when you spend £75 or more. Use one of these Galaxy Perfume promotional codes to search for your very favourite scent or browse their large range to discover something new. We’ll give you a head start by making a few suggestions of our own. There’s Jardin Precieux by Givenchy (£41.40 before discount), A Scent by Issey Miyake Eau de Toilette Florale (£31.61 before discount) and Fan di Fendi Blossom by Fendi (£36.89 before discount). With our Look Fantastic, The Fragrance Shop and Galaxy Perfume voucher codes there’s certainly no shortage of summer fragrance savings. The only difficult part is choosing one!